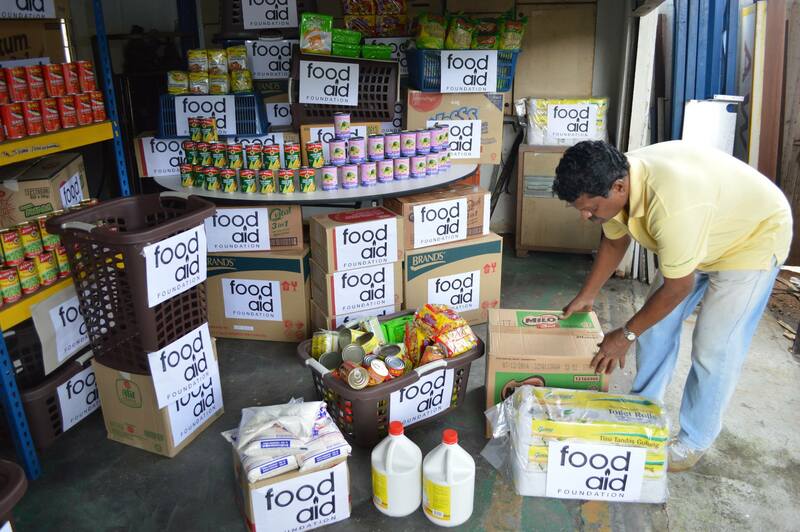 The Food Aid Foundation is managed by professionals with experience in the food services industry and supported by a team of staff comprising of employees and volunteers; with a pool of cooks and drivers, we are ready to serve those in need. We Honour Lives, respect the dignity of every person and treat all with equality and compassion regardless of their race or religion. We Act With Honesty and integrity ; and will operate with an acute sense of urgency that reflects the immediate needs of people struggling with hunger. COLLECT SURPLUS COOKED HALAL FOOD acquired from hotels, restaurants, and food establishment to distribute to the poor and needy. COLLECT VOLUMES OF NON – PERISHABLE HALAL FOOD that are generally dried, canned or pre-packed from food manufacturers, importers, wholesalers and all willing donors; distribute them to charitable homes to help the underprivileged. This includes close-to-expiry date products, off spec, discontinued promotional products, etc. COLLECT UNCOOKED RAW FOOD from the wholesale wet and dry markets and companies with food service operations; then process them in our central kitchen for distribution to orphanage and welfare homes. See our operations chart, here. We need volunteers for some special activities like disaster esp Emergency Relief, New Program Launches. We welcome donations for our operational activities and any special events that we plan to do in the future. REMARK : ALL FOOD PRODUCTS MUST BE HALAL AND SAFE. We will be working closely with more than 30 Homes in Klang Valley especially in term of providing meals to the identified homes during our initial stage of Testing and Commissioning for our New Central Production Kitchen located at the address : No.9, Jalan 7/118B, Desa Tun Razak. Cheras. 56000. Kuala Lumpur.